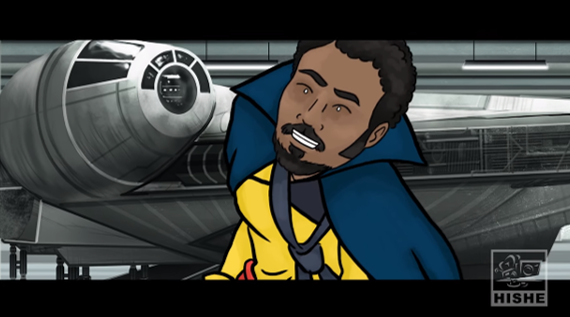 HISHE or better known as “How It Should Have Ended” have done it again, this time offering their take on the ending of Solo: A Star Wars Story, this one being almost self aware too. What a title. Bringing up the first self aware comment, that some Fans have brought up about the Solo Standalone film, that why should a random Imperial Officer give him his last name. And that he should choose it. Skipping ahead to the end of the movie, HISHE diverts the narrative from the moment Dryden Vos is killed. Instead of leaving to save Chewie from Beckett, Han decides to stay and just rest on the recently deceased crime bosses sofa and wait for Qi’ra. Qi’ra knowing that she has to contact Crimson Dawn’s true leader tries repeatedly to shew him away but to no effort. 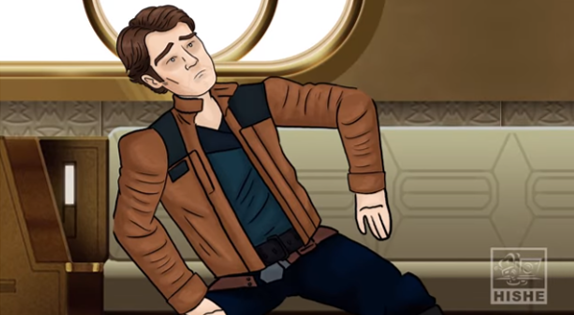 Han just can’t be arsed to move, saying (and here’s where the short really becomes self aware) that’s he’s gotten really fatigued all of a sudden. All the Wars, in the Stars, that in just never ends. Getting chased by TIE Fighters, shooting their blasters, travelling to three or so planets (with different atmospheric environments) That’s he tired. With Qi’ra replying that maybe they should have done the heist in winter instead. The funniest bit of the short and once again stealing the show, would be that of Lando. Turning up to drop his latest music video: “This is the Falcon.” Parodying Lando actor Donald Glover’s Childish Gambino’s hit song “This is America” from earlier in the year. It gets to the point where things are getting too weird and out of control that none other than Ron Howard shows up, offering assistance to the situation, that’ll be directing from here on out and take care of everything. (Ohh he did, despite it’s disappointing Box Office Performance, he did deliver us a fun and enjoyable Star Wars film) But also making the film darker, with is noticeable. It is the darkest (lighting wise) of all the films thus far. This was not only a fun short poking fun a Solo: A Star Wars Story, but an insightful one too. 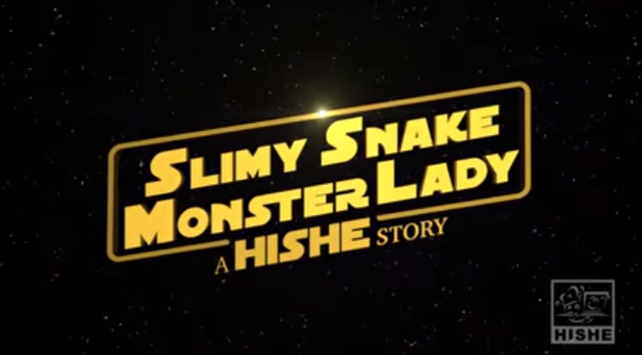 Instead of just doing a different ending or multiple, HISHE made it self aware given the circumstances that plagued the film’s production and the real world impacts that it had, especially as of late. With how the film did at the Box Office, it’s release, production problems, the possibility of a sequel not being made now. It’s the most self aware HISHE short to date. Definitely worth a watch. A lot of effort was put into this HISHE Story.